For the last 3 months, Sushil Modi ran a campaign to out what he alleged were multiple scams and corrupt land deals by Lalu Yadav and his family, including his sons and ministers Tejashwi and Tej Pratap Yadav. Sushil Modi, Bihar's new deputy chief minister, has said he will expose in the next three days what he alleges are Lalu Yadav's links with Bihar's sand mafia. Mr Modi, who is the new Forest Minister too, has also ordered a fresh investigation into a "soil scam" and his predecessor Tej Pratap Yadav's alleged role in it. Tej Pratap is the son of Lalu Yadav. In the last 48 hours, more than a hundred people have been rounded up and a case of illegal sand mining has been registered against Bhai Virendra, a lawmaker from Lalu Yadav's RJD after Chief Minister Nitish Kumar cleared police action. "More than 100 people have been arrested in Patna, Bhojpur and at least six other districts and dozens of trucks laden with sand have been seized," Mr Modi tweeted on Monday, listing action taken "within three days of the NDA-2 government being set up against organised criminals." To aid the crackdown, the Chief Minister has appointed KK Pathak, a bureaucrat reputed to be tough, as principal secretary of the state's mining department. 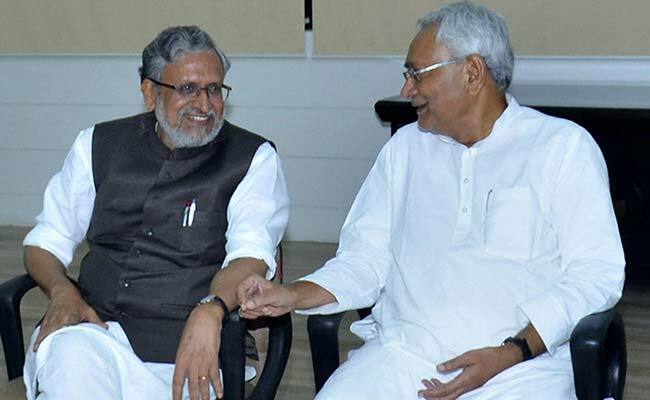 Sushil Modi, the BJP's most senior leader in Bihar, took oath as number 2 in the state government last week along with Nitish Kumar after he dissolved his partnership with Lalu Yadav and the Congress to partner once more with old ally BJP. Mr Kumar ended the two-year-old alliance after Lalu Yadav said his son Tejashwi Yadav would not resign as the state's Deputy Chief Minister despite corruption charges against him. Sources say illegal mining of sand was one of the major conflict points between Nitish Kumar and Lalu Yadav as several accused named in a recent police inquiry report were known to be close to the Rashtriya Janata Dal (RJD) chief. For the last three months, Sushil Modi, as an opposition leader, ran an untiring campaign to out what he alleged were multiple scams and corrupt land deals by Lalu Yadav and his family, including his sons and ministers Tejashwi and Tej Pratap. At press conferences Mr Modi furnished reams of documents that he said proved his allegations of extreme corruption by the powerful Yadav family and demanded action against them. The BJP leader's return as the state's deputy chief minister - a post he held four years ago till Nitish Kumar's Janata Dal United and the BJP broke up - means he is now in a position to order the investigations that he had sought as an opposition leader. In April this year, Mr Modi alleged that a two-acre piece of land on the outskirts of the state capital Patna was illegally transferred to the Yadavs, who leased it to a real estate developer to build a mall and then sold soil from the plot to the Patna zoo, which was then governed by the Forest Department under Tej Pratap Yadav. The zoo bought soil from the plot worth 44 lakhs to build a road without asking for competing bids. Mr Modi had at that time demanded that Tej Pratap Yadav be sacked and also a "high-level" investigation that he has now ordered.